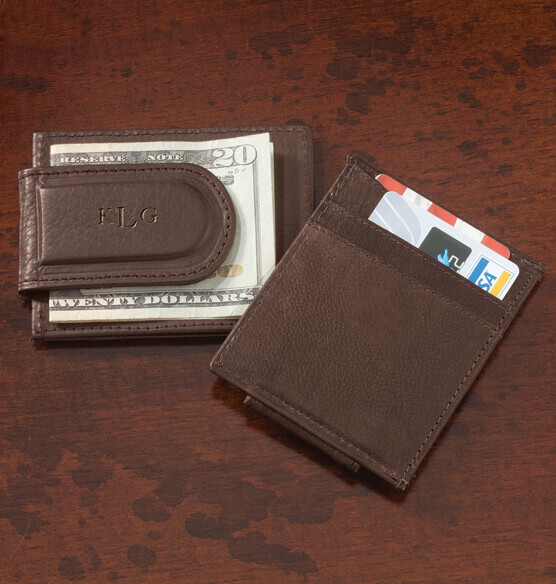 The simple, slim design of this personalized brown leather money clip/card holder will appeal to his sense of style. Made from genuine leather in a timeless brown color, with three card slots and a super strong magnetic clip to keep contents secure. Add a monogram to make this clip wallet a unique gift idea.